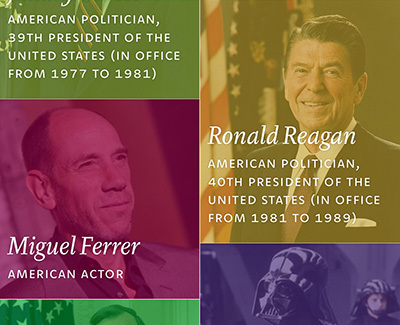 V for Wikipedia is an opinionated iOS app with nit-picky typography hailed by no less than Erik Spiekermann as the “best on the small screen yet.” It is a gorgeous app, and it’s amazing how much better Wikipedia reads when it looks good. The map visualisation lets you explore nearby places. It is even usable on the Apple Watch. 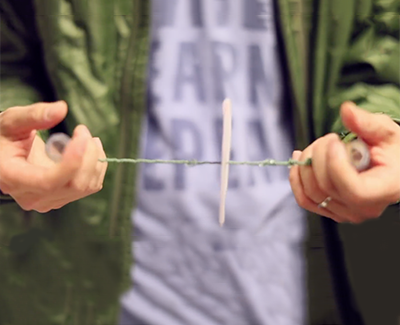 Inspired by an ancient toy, researchers from Stanford University have developed a hand-spun centrifuge. A centrifuge is an essential tool for hospitals and labs across the world, but they are expensive, bulky, and require electricity. In poor regions these instruments can be hard to come by, thus limiting the ability of point-of-care healthcare workers to do their work. In demonstrations, the paperfuge was able to centrifuge blood at 20,000 RPM — a speed comparable to those exerted by conventional benchtop centrifuges. The paperfuge was able to separate pure plasma from whole blood in less than 90 seconds, and to isolate malaria parasites in 15 minutes. The 20p 'paperfuge' can reach spinning speeds of 125,000 RPM, and exert centrifugal forces equivalent to 30,000 Gs. It’s a hundred times faster than previous non-electrical centrifuges, and is the fastest rotational speed recorded for a human-powered device. The proposed steel pedestrian bridge in the Chinese mega city Changsha will be 185 metres long and 24 metres high. The bridge is a key project in developing the area’s public space, and was designed with recreational, ecological and tourist activities in mind. The bridge connects multiple levels at different heights (the river banks, the road, the higher-placed park as well as the interconnections between them). The final shape of the bridge is the result of - literally and metaphorically - knotting all these routes together. 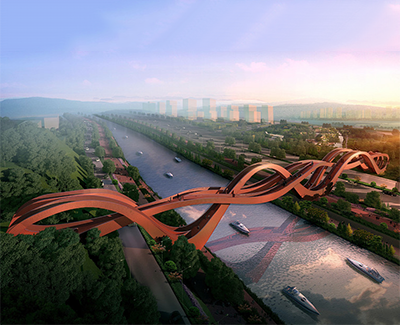 The bridge will offer a spectacular view of the river, Meixi Lake, the city of Changsha and the surrounding mountain range. With its LED light arrays, the bridge is set to become a landmark attraction in the route that traces the path of the Dragon King Harbour River. 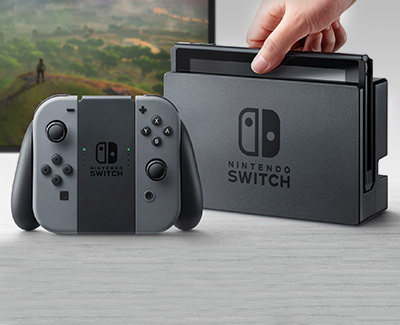 Nintendo Switch will be released in the UK on 3 March, priced at £280. At home, the Switch sits in a "Nintendo Switch Dock" that's used to connect to your TV. Once removed from the dock, it transitions to portable mode. The gamepad will be rechargeable through the console. The battery life can range from 3 to 6 hours depending on the game you're playing. The gamepad's screen is 720p. There is a stand provided. 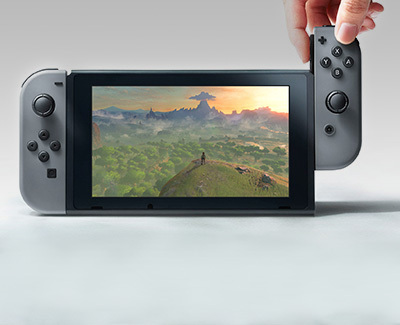 Nintendo Switch will include two detachable controllers known as "Joy-Cons", which can be used as part of the portable tablet or during local multi-player. Just like the gamepad, these will be charged through the console. Researchers at King’s College released a study stating they’ve discovered a medicine that can prompt teeth to regrow over cavities or injuries. Researchers realized that an experimental Alzheimer’s drug called Tideglusib had the side effect of encouraging dentin growth, which is the bony part of the tooth made of calcified tissue. It makes up most of the tooth, just above the pulp but under the hard enamel. Tideglusib, used in clinical trials as a neurological drug as a way to encourage brain cell growth, encouraged the tooth to generate more stem cells and grow dentin over the exposed area, according to the report. Normally, a tooth only grows a tiny layer of dentin over an injury — not nearly enough to save a tooth from needing to be drilled or removed to prevent infection. But when Tideglusib is applied to the injured spot on the tooth, it blocks the enzyme that usually stops dentin growth, glycogen synthase kinase (GSK-3), and the whole spot heals up by itself. billionBricks is a Singapore based non-profit design and innovation studio providing shelter and infrastructure solutions for the homeless and vulnerable. 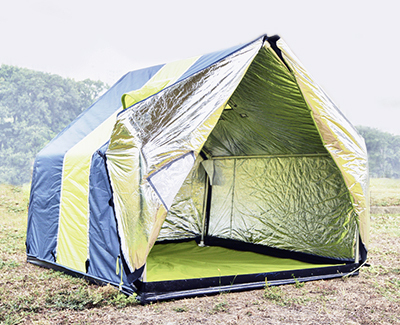 [WeatherHyde is] a life saving fully insulated, lightweight emergency kit that provides maximum privacy and protects the homeless and vulnerable from extreme weather. The only reversible tent that protects in both winter and summer, it is woman friendly and enables a single person, tool-less installation within 15 minutes and does not need any anchoring. weatherHYDE has been awarded the Iron A' Design Award in the category of Social Design in 2016 by the grand jury panel of the A’ Design Award & Competition which consists of internationally influential press members, established designers, leading academics and prominent entrepreneurs.